New Events in 2016: Join us with "GUUSTO!" Geneva UU Space To Opine! We meet on the first Thursday of every month for a casual short meditation and discussion on a topic of interest. 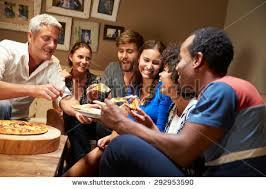 One person will organize the evening activity and one person offer his or her home. Activities will be light, low-pressure preparation, supported collectively whether through potluck or sharing expenses, if called for. Evenings will begin with potluck apéros, then a ten-minute guided- or silent- meditation, followed by a discussion on a book-chapter, watching a movie of social or political relevance followed by a discussion, sing-alongs, or any other activity. Read our concept paper on GUUSTO! In this time after Xmas, we shared feelings and experiences about giving and getting gifts, dealing with accumulation of stuff, how to think about materialism vs. intangible values, and more. ​​Join us to watch Fences and following the film have an informal conversation about the film and masculinity. The film is directed by & starring Denzel Washington & written by August Wilson, based on his Pulitzer Prize-winning play of the same name (Wilson died in 2005, but completed a screenplay before his death). Fences , questions the idea of masculinity and what it is to be a "man"- particularly an African American man. Throughout the film, Wilson forces the question of what it takes to be a "good man." Is it duty to family? Is it following your dreams? Fences: Troy Maxson (Denzel Washington) makes his living as a sanitation worker in 1950s Pittsburgh. Maxson once dreamed of becoming a professional baseball player, but was deemed too old when the major leagues began admitting black athletes. Bitter over his missed opportunity, Troy creates further tension in his family when he squashes his son's (Jovan Adepo) chance to meet a college football recruiter. "The Hilarious Side of Depression"
We all go through difficult times, or at least we know others who do! Join us to talk about how to get through them. * If you have time, check out The Hilarious World of Depression, an NPR podcast featuring a number of comedians and their strategies for weathering depression at https://www.apmpodcasts.org/thwod/ The first episode features Peter Sagal of Wait, Wait, Don't Tell Me, and includes a look at how well different strategies for surviving a crisis work. Defying the Nazis: The Sharps' War: A Unitarian minister and his wife from Wellesley, Massachusetts, Waitstill and Martha Sharp, leave their children behind in the care of their parish and boldly leave for multiple, life-threatening missions in Europe to rescue hundreds of political dissidents and Jewish refugees prior to World War II.